Home » Blog » Do All Chaga Mushrooms Look The Same? Anytime you are harvesting mushrooms it is important to be able to accurately identify the mushroom. A case of mistaken identity when it comes to mushrooms could be costly for your health. Fortunately, there are several key ways to identify Chaga mushrooms if you want to harvest them yourself. Chaga has the appearance of a charred conk. It protrudes from the bark of the tree. The conk is very hard. When opened, the conk presents a more orange/brown color, with a slightly spongy texture. The conk will be difficult to remove from the tree and usually requires force from additional tools, such as a small axe. 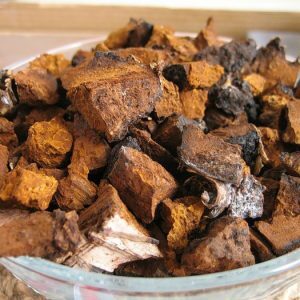 Most Chaga is similar, particularly in color, but not all Chaga looks exactly the same. Some Chaga is large and more pointed, while other Chaga is smaller and more rounded. Shapes and location on the tree can vary quite a bit. The color is what remains consistent for all Chaga mushrooms. Finding Chaga can be confusing because tree burls and other infections can look very similar to Chaga. You can tell a burl from Chaga because a burl will look closer to the color of the tree bark. A burl is a deformation of the tree itself, so it will look more like the tree. A Chaga mushroom will have a dark, burnt look that is very distinct from the tree. Other infections typically won’t have the unique orange color that is found on the inside of the conk. The color combination of charred outside and orange/brown inside can be a sure indicator of Chaga. Keep in mind that Chaga only grows in northern climates that support birch forests. So the northeast United States, Canada, Northern Europe, Russia, and parts of Asia are the only places that facilitate the growth of Chaga. Outside of this climate, you will not be able to track down this special mushroom. Chaga is also easy to identify because it only grows on birch trees. 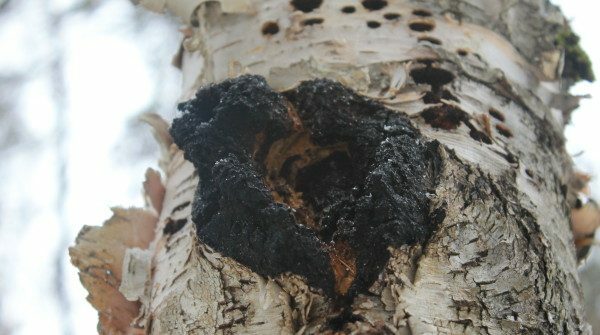 If you encounter a charred looking conk on a tree other than birch, it is not Chaga, and will not have the same beneficial properties. When you find Chaga, remember that it must be harvested very carefully to avoid damaging the tree. 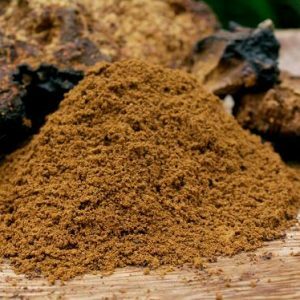 Chaga that is removed effectively can grow back and be harvested again in about three years. ChagaHQ suggests leaving at least 15% of the Chaga behind so that you don’t risk cutting or damaging the tree and the Chaga remains healthy. Don’t harvest Chaga from a dead tree, it will not have the same beneficial properties. 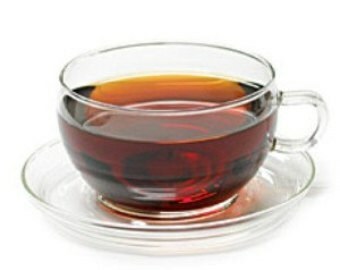 It is also believed that Chaga is most beneficial when harvested during the winter. 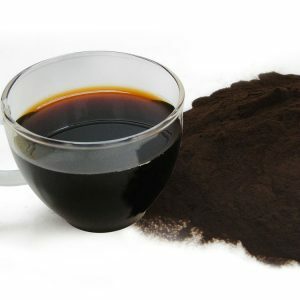 Chaga that is located close to urban areas may be contaminated with pollutants. Make sure you are searching for your Chaga in remote parts of the woods. If you have any questions about harvesting the right mushroom or don’t have access to the right environment to find Chaga, you can trust that Chaga Natural’s products are harvested sustainably and from some of the most remote parts of Siberia. While finding your own mushrooms is thrilling, don’t let lack of time, knowledge, or location keep you from experiencing the healthy benefits of Chaga.